1.8 million species have been named and described. Biologists estimate 10–200 million species exist on Earth. 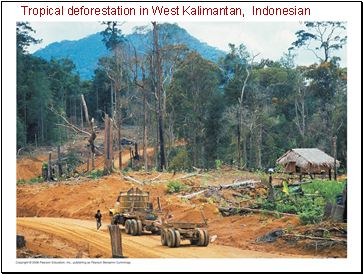 Tropical forests contain some of the greatest concentrations of species and are being destroyed at an alarming rate. Humans are rapidly pushing many species toward extinction. 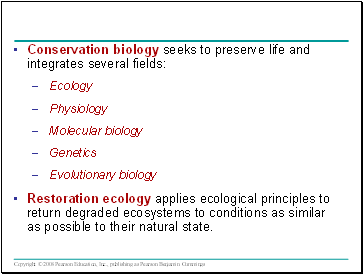 Restoration ecology applies ecological principles to return degraded ecosystems to conditions as similar as possible to their natural state. 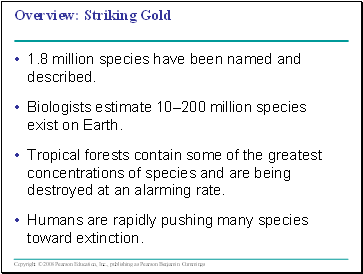 Rates of species extinction are difficult to determine under natural conditions. 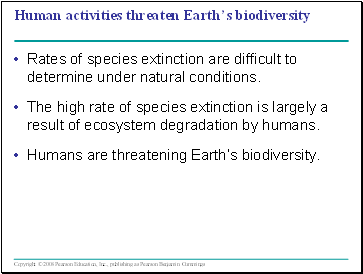 The high rate of species extinction is largely a result of ecosystem degradation by humans. Humans are threatening Earth’s biodiversity. 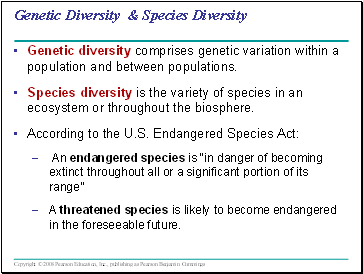 Genetic diversity comprises genetic variation within a population and between populations. 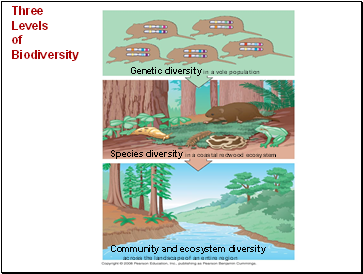 Species diversity is the variety of species in an ecosystem or throughout the biosphere. 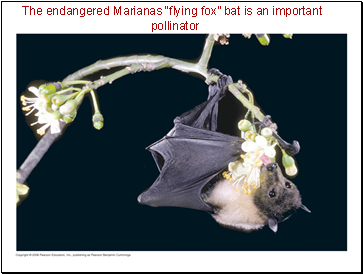 A threatened species is likely to become endangered in the foreseeable future. 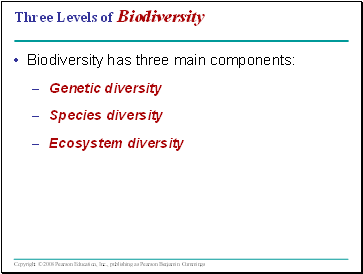 Human activity is reducing ecosystem diversity, the variety of ecosystems in the biosphere. 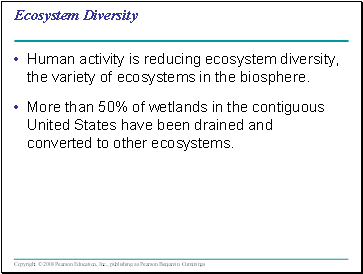 More than 50% of wetlands in the contiguous United States have been drained and converted to other ecosystems.